Dr. Tom began his chiropractic journey in 1987 after a close family member was involved in a car accident. Prior to that, he had no idea how truly life impacting chiropractic care could be for people suffering. Because Chiropractic care restored the quality of life in his family member, he decided to learn more about the profession and ultimately applied to Chiropractic College, graduating in 1992. 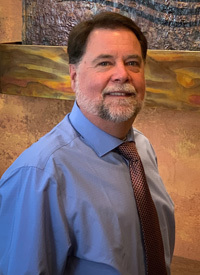 In addition to his family practice in California, Dr.Tom was the team doctor for the US National Karate Team from 2007-2011, travelling to the Pan American Games in El Salvador and Brazil as well as the World Championships in Japan, Slovenia and Morocco. He was awarded the Distinguished Service Award in 1998 from the Washington Chiropractic Association. With much gratitude, he credits his success in practice and life to the lessons he learned on and off the field as a member of the Concord Blue Devils Drum and Bugle Corp. He is very excited for this opportunity to reach out and serve the people of the greater Indianapolis area and have a positive impact on their health and wellness. When not at work, Dr. Tom enjoys watching and listening to his daughter in the Carmel Band, spending time with his son or playing a relaxing round of golf and the many Mulligan’s that come with it. He also has been fortunate to travel, and is looking forward to his next adventure! We’d love to meet you and answer your questions. Give Seland Chiropractic Living Well Center a call today!